This has been an exciting month when our students graduating from Grade 8 start to receive notice as to which schools they have been accepted into. 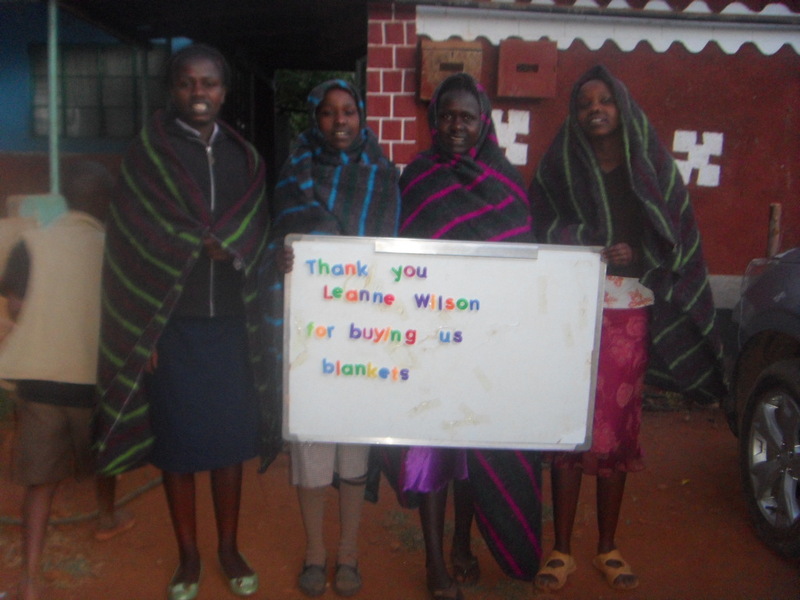 We are very proud to announce that two of our students, Wanza and Wayua have been admitted to Mbooni Girls School – a National School! 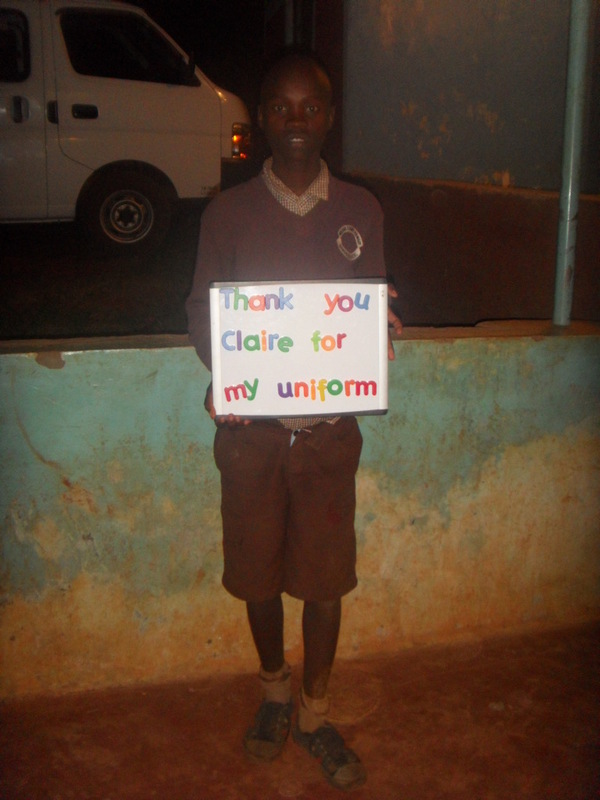 This is an incredible accomplishment to be admitted to the highest level of high school in Kenya. We have six more students awaiting placement news. 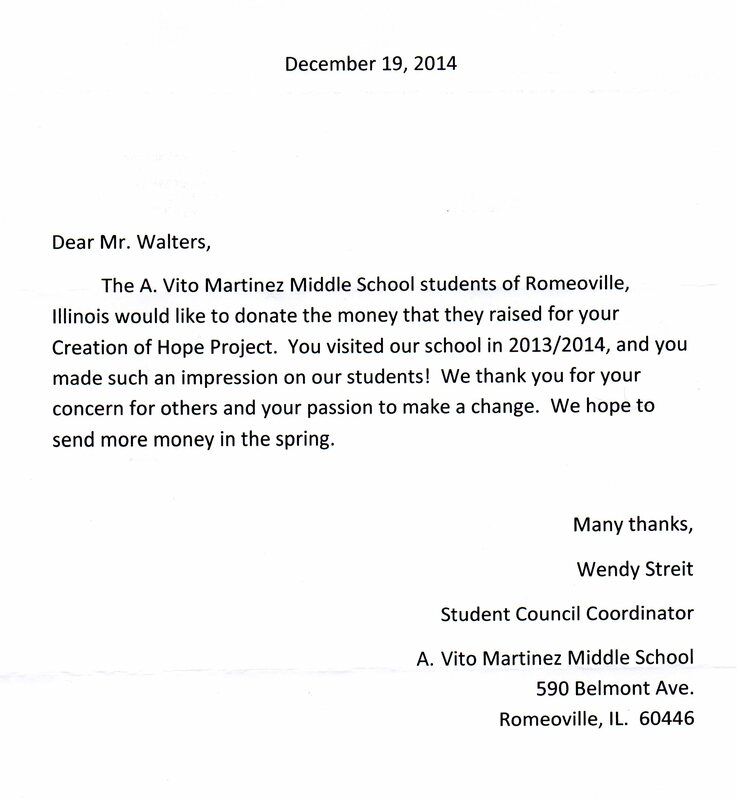 I’m happy to share some good news about our students here at Oneida. 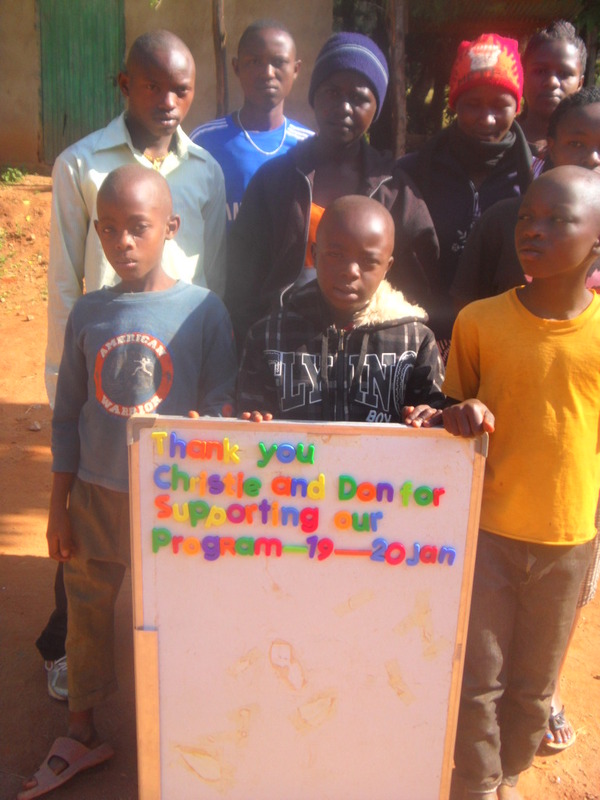 They took on the challenge of raising enough money to support the orphanage in Kenya for a week, and actually went over their goal. Our secretary is working on the final numbers since classes did a range of activities to earn the money. We had a class that offered a “ Buy and Sell” during both recesses on a day in December, by bringing in some of their gently used items and selling them . We had another class organize, cook and sell hot dogs for a special lunch here at school. We had two “buddy” classes organize the selling of “Candygrams” one week in December, distributing candy canes with personal messages at the end of the week. We had another class who did “random acts of kindness” for the month of December, and one of those “acts” saw the entire class stationed at three local businesses in Caledonia where they shared a mini candy cane on a message about RACK ( Random Acts of Christmas Kindness). 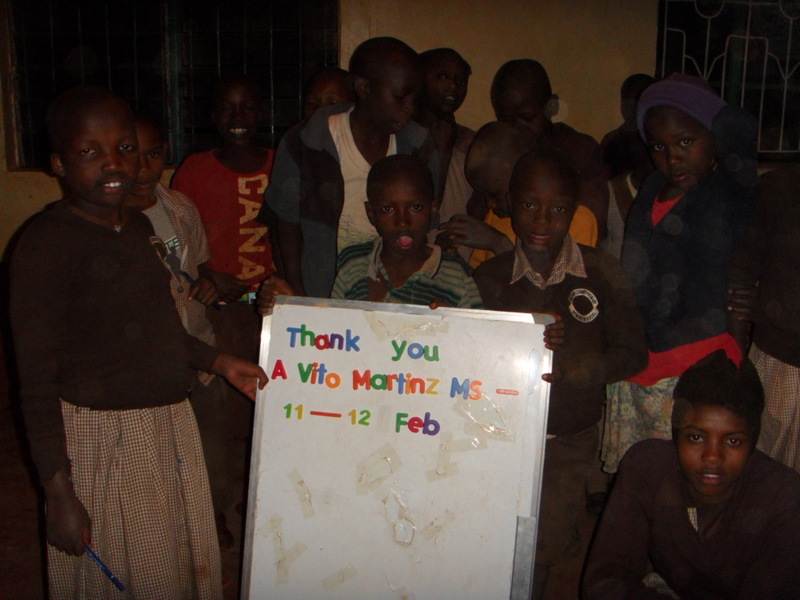 For that, they were rewarded by a number of people they were sharing with, and that included a monetary donation which they donated to the orphanage fund, rather than buy a class treat for themselves. 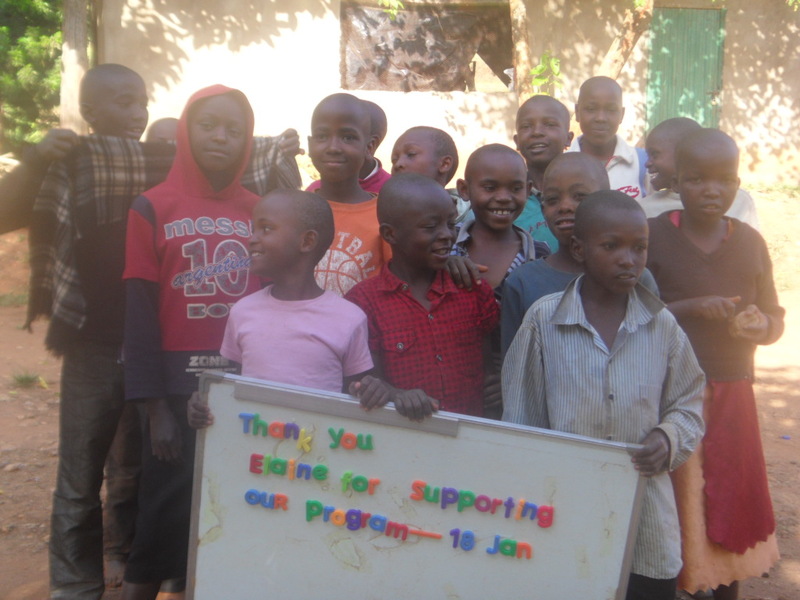 I couldn’t have been more proud of our students, their plans to raise funds and the response they received from others here. 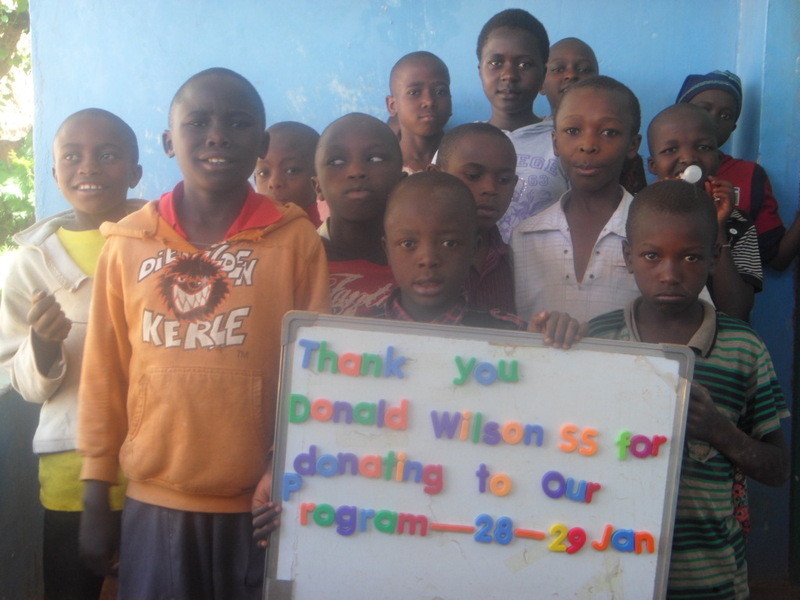 Donald Wilson S.S. – under the leadership of Jenn Matthews – donated $200.00 which went toward two days of support for the program. 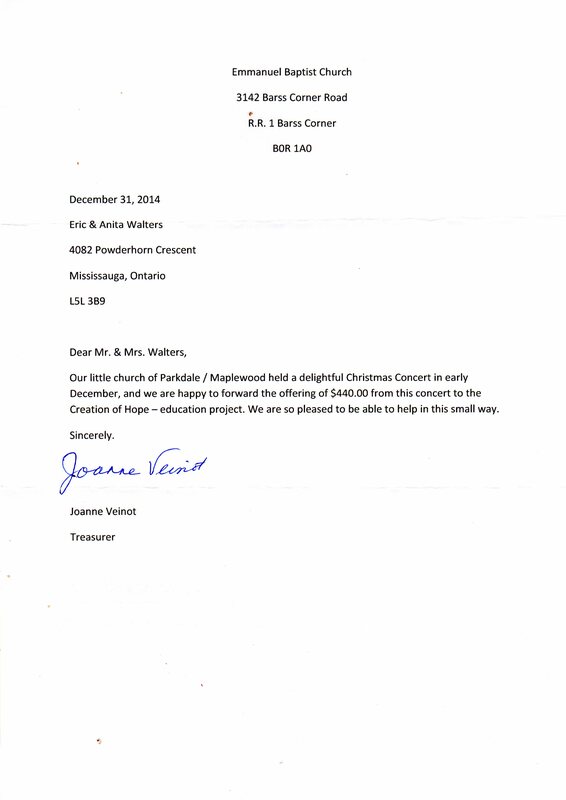 St. John Paul II grade 8 students donated $465.00. This money was being used to provide a high school scholarship for one student in the name of Gail Kay who was the mother of one of the teachers in the school and just passed on. 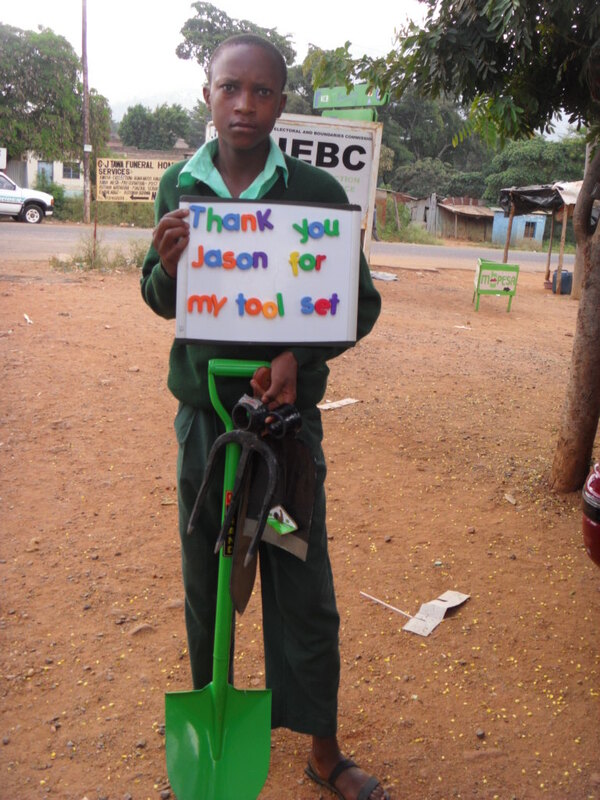 Jason Wiggins donated funds to buy tool sets for two families. I received this email from Bennett. This is Bennett Duncan, Joyce’s son. 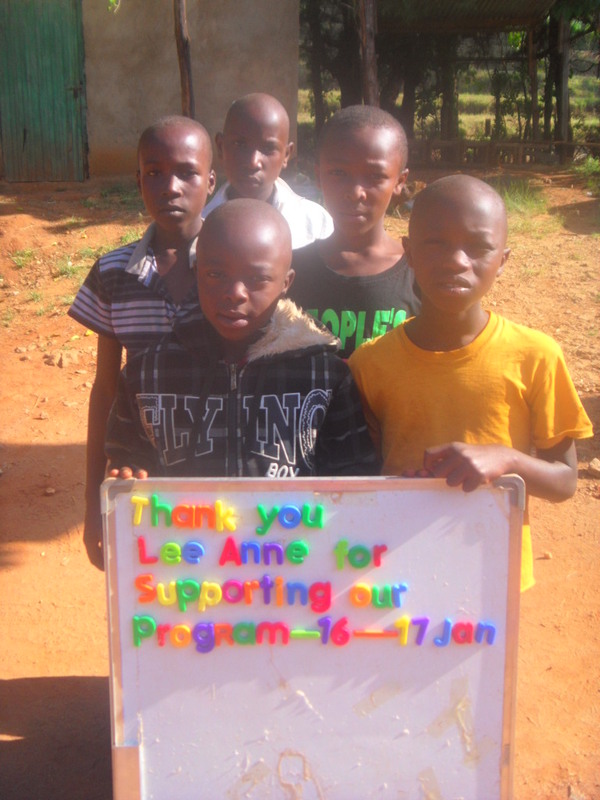 I heard about the orphanage that you have founded, and it really struck a chord with me. I am donating $104 to your charity. I hope that it goes to a good cause and that it helps. My dad will be sending it by e-transfer. 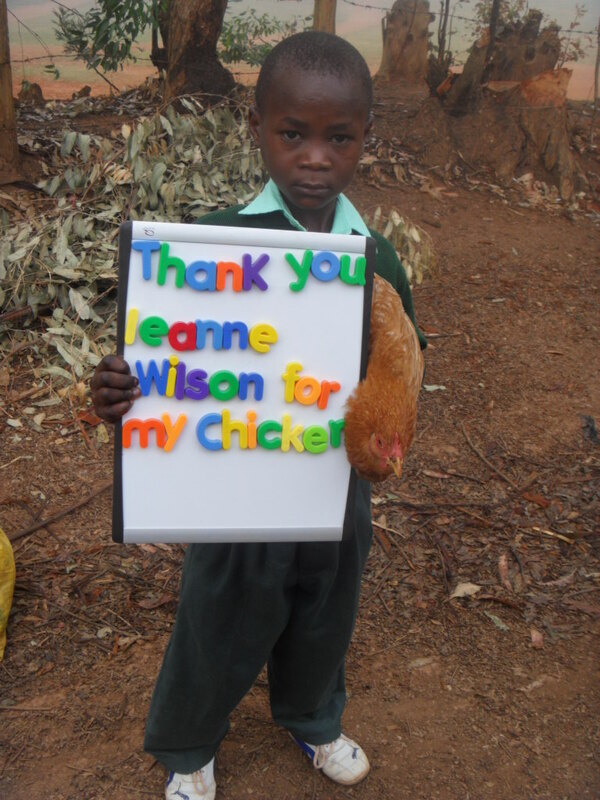 Bennett’s donation was used for a day of support – see picture below. 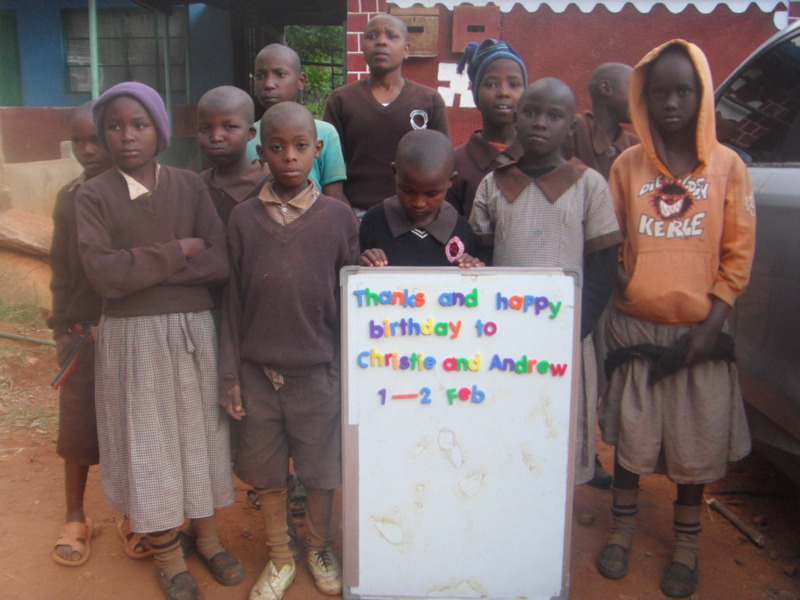 Susan Roberts donated $200.00 in honor of the birthday of her children Christie and Andrew. 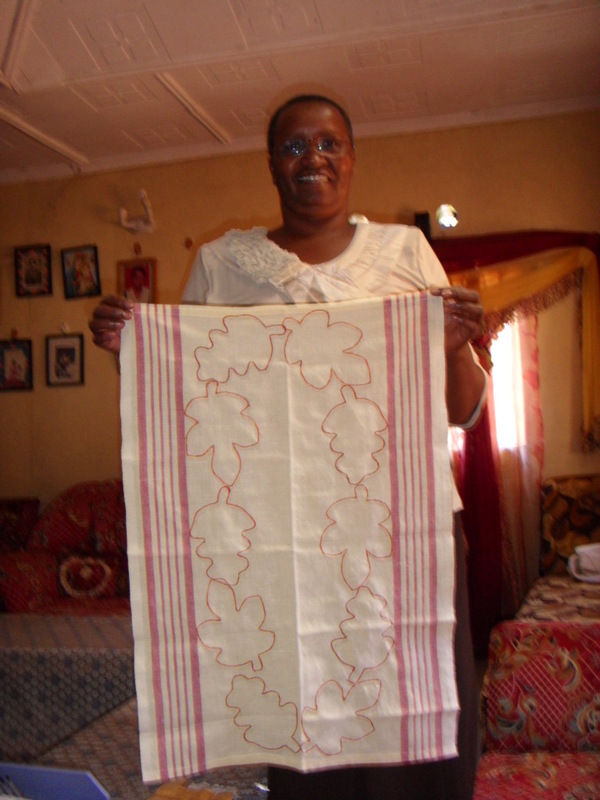 This was used for two days of support – see picture below. 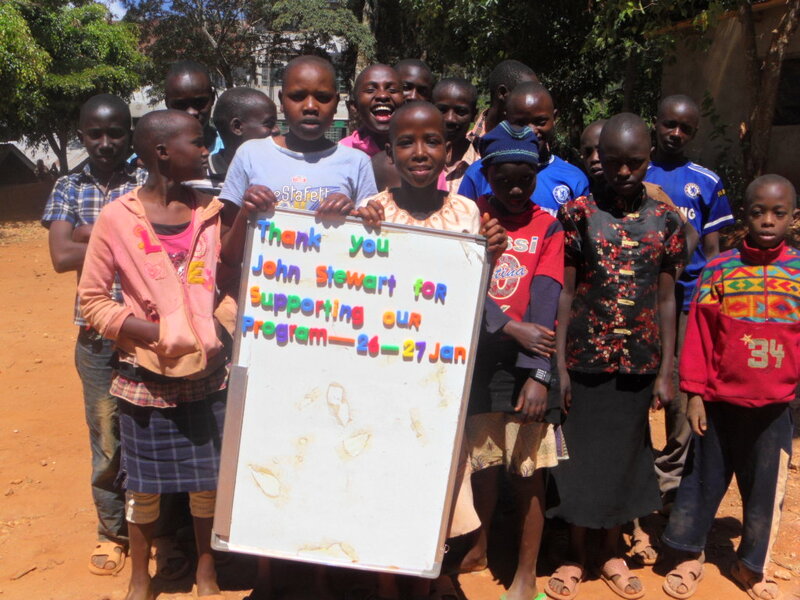 John Stewart donated $200 which provided two days of support – see picture below. Lauren and Noa at the end of a presentation gave $15.00. 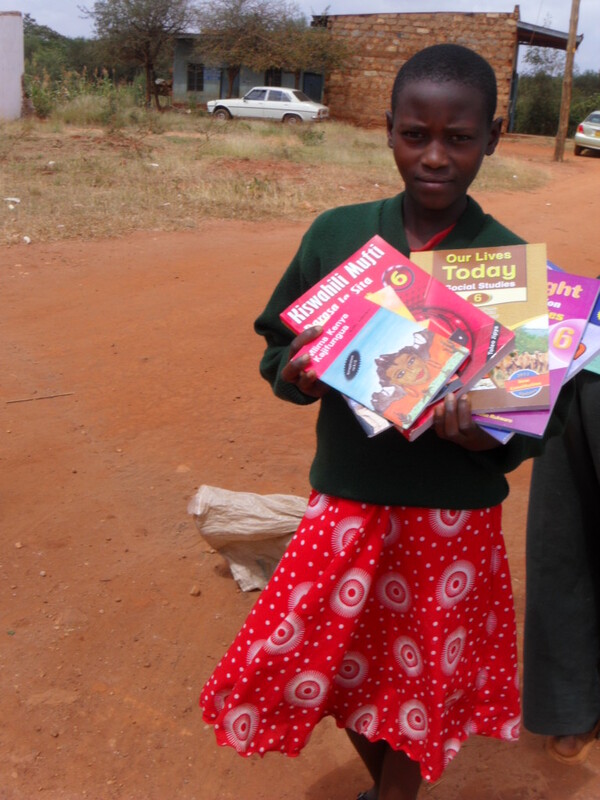 Our children have continued to qualify for high levels of high school and post-secondary education. 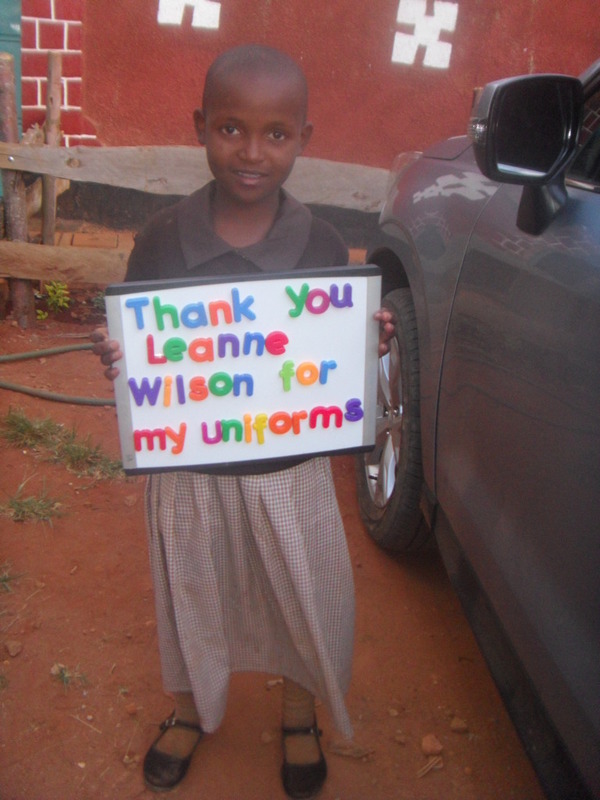 The costs of tuition generally exceed the levels of sponsorship so we have been enlisting additional donations and recruiting educational sponsors to become involved with specific children to cover these costs. 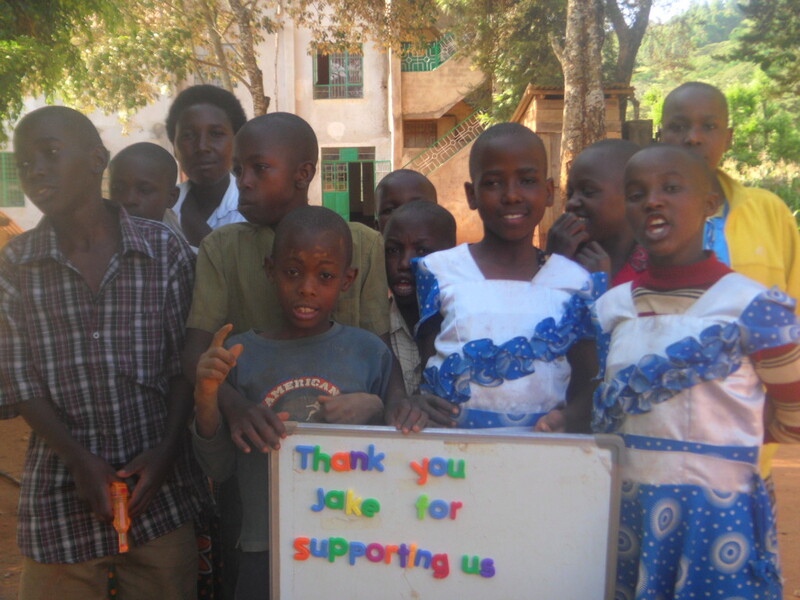 We welcome new educational sponsors this month. 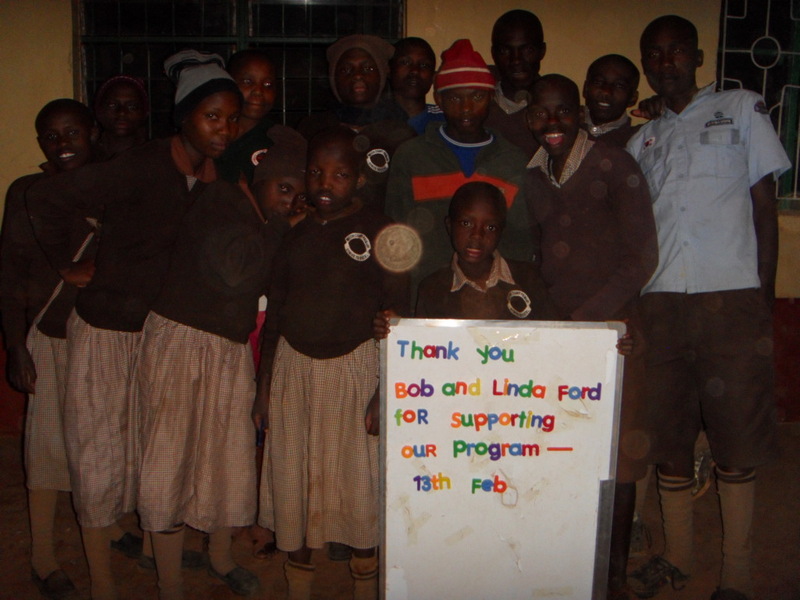 Susan and Doug Roberts are partnering with Jessica and Chris Patrick to provide for the ongoing costs of Wanza who was just admitted to Mbooni Girls School – a National School. 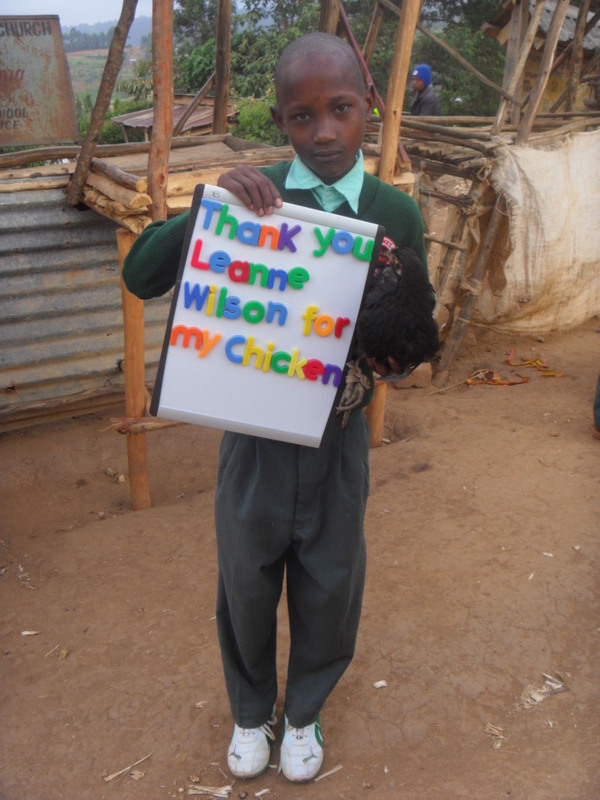 Cliff Hall donated $400 to provide tuition for Jackson – the child supported by his family. 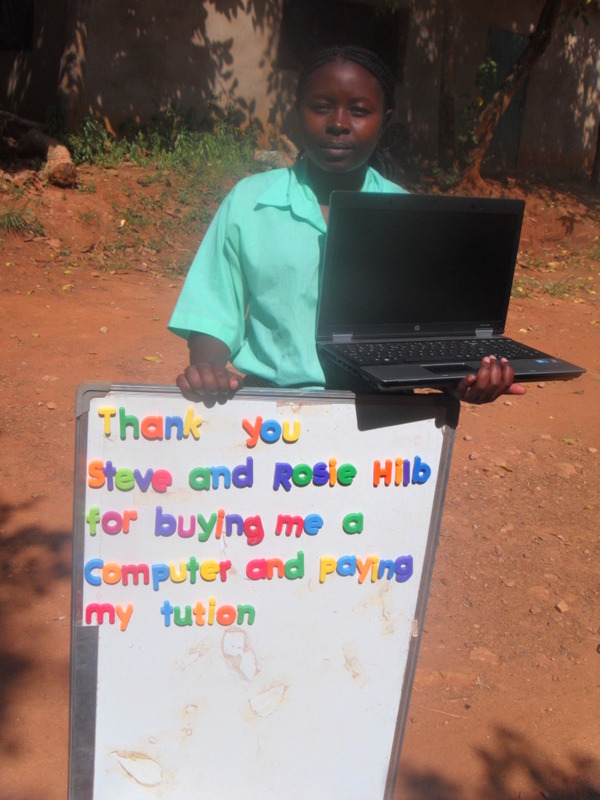 Steve and Rosie Hilb donated $300 for Sarah’s ongoing educational needs. 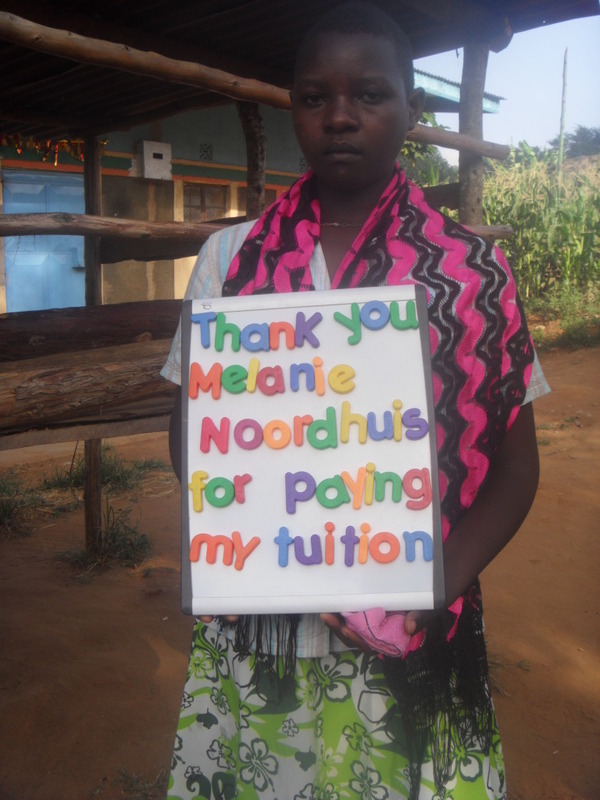 Sarah is one of our first two students in university. 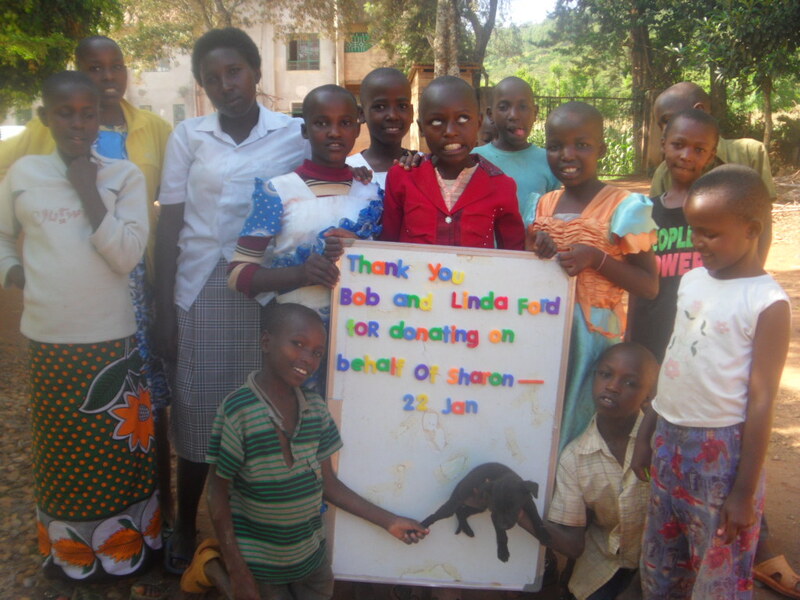 In addition they donated funds to purchase a computer for Sarah. 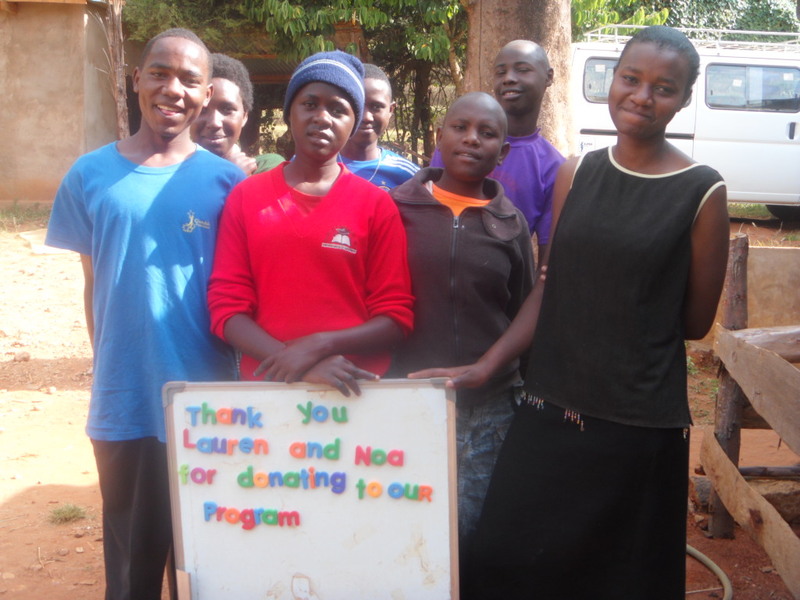 And along with Lou-Ann they are also providing ongoing educational support for Sarah as she continues her university education. 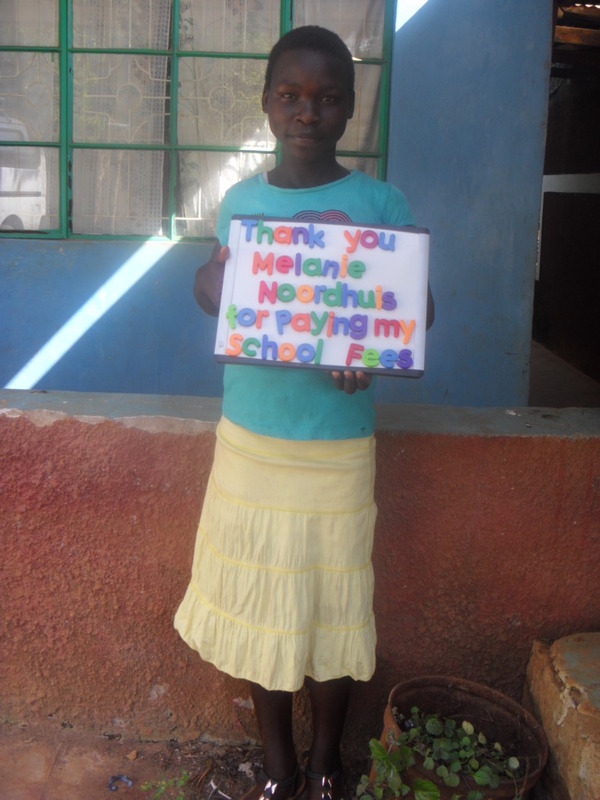 One of our sponsors Melanie paid for these young lady’s high school tuitions! 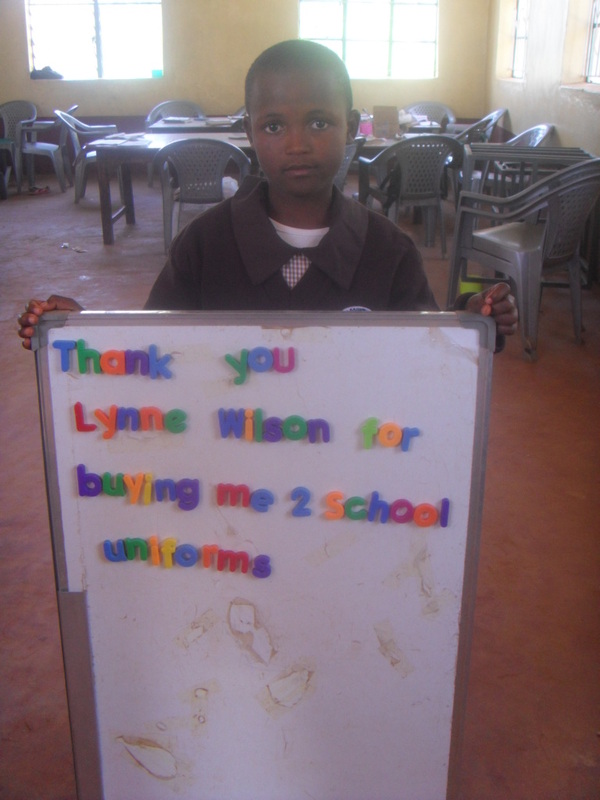 Occasionally we have a sponsor who is unable to continue their commitment. We are grateful for the involvement of Audrey Hamilton and wish her well in the future. 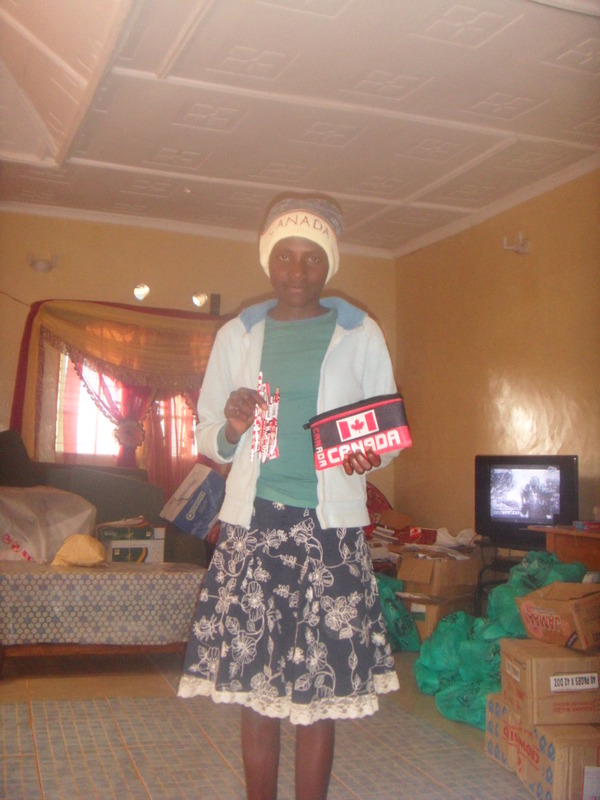 Her sponsored child has also experienced a life change and is living with new caretakers in Nairobi. 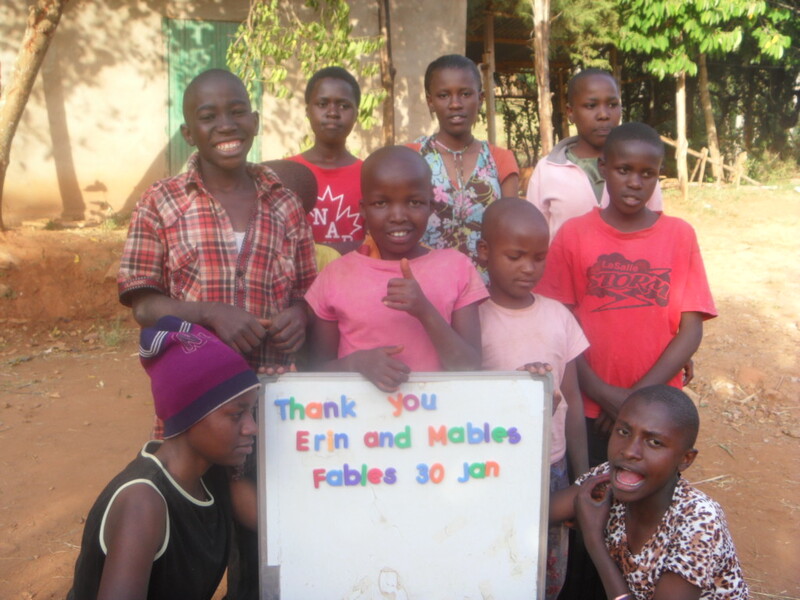 We will be introducing our two new sponsors, Katie and Sharon, to another child requiring support and will therefore once again be at our capped number limit of sponsors. 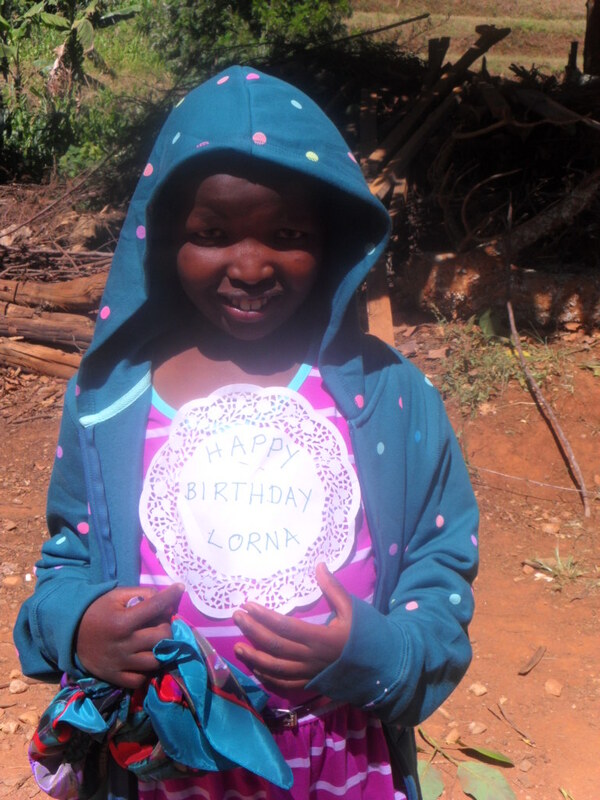 Lorna wearing birthday presents from her sponsors Sue and Brian. 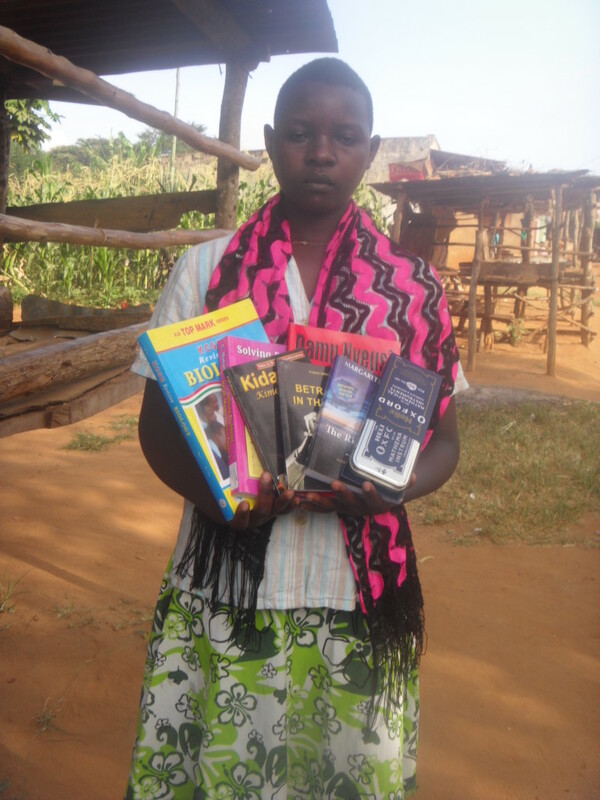 Presents for Kanini Beth from her sponsors Marion and David.